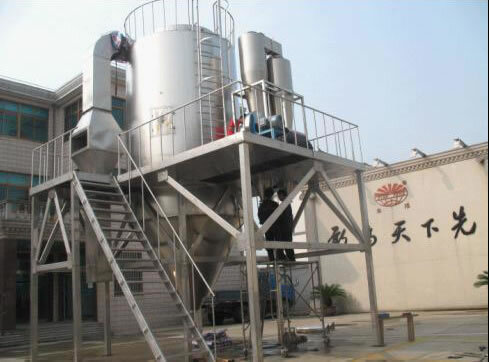 Spray drying is the widest used technology in the liquid shaping technology and in the drying industry. Centrifugal Atomizing Drying Equipment is most suitable for producing powder, particles or solid block products from materials of solution, emulsion, soliquoid and pumpable paste states. Therefore, spray drying is useful to create the desired particle size, residual water contents, the stocking density, and the particle shape needed to meet precise standards. After undergoing filtering and heating, air enters into the air distributor at the top of the centrifugal atomizing drying equipment. The hot air enters into the drying chamber in the spiral form uniformly. 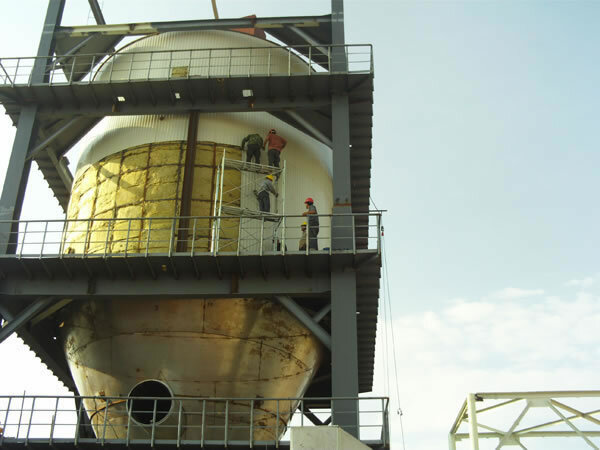 By passing through the high-speed centrifugal atomizer at the top of the tower, the material liquid will be rotated and sprayed into extremely fine mist liquid beads. 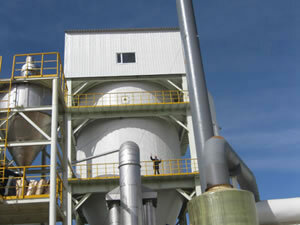 Through the very short time of contacting with hot air, the materials can be dried into the finished products. 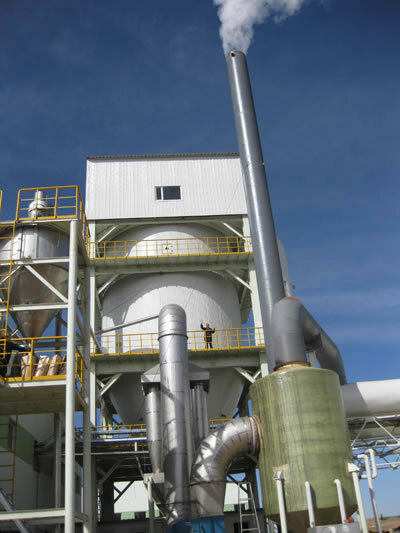 The finished products will be discharged continuously from the bottom of the drying tower and from the cyclone separator. The waste gas will be discharged by blower. Notes: The evaporated amount of moisture is contingent upon the characteristics of the raw material, solid content and temperature of hot air at inlet and outlet. Customers can choose the heating method according to the conditions of the local energy source. 1. The centrifugal atomizing drying equipment offers a fast drying speed. The material liquid is sprayed in order to increase the surface area of the material, making it easier to dry. In the hot-air flow, 95%-98% of water can be evaporated very quickly. The time to complete drying is only a few seconds. 2. It is especially suitable for drying heat sensitive materials. The dried materials have excellent uniformity, mobility, and dissolving capacity, and the final products are high in purity and quality. 3. The production procedure is simple and the operational control is easy. The liquid with a moisture content of 40-60% (for special materials, the moisture may reach 90%) can be dried into powder or particle products quickly. After the drying, there is no need for smashing and sorting, so as to reduce the operation procedures in the production and enhance the product purity. The product particle diameters, looseness and water contents can be adjusted through changing the operation conditions in a certain scope. The drying equipment is very convenient to control. 1. Atomization: the atomizing system must insure the fog drops are distributed uniformly. 2. Contact of hot air flow and fog drops: It is vital that when the hot hair enters the drying tower, the air flow is adequately heated. 3. The angle design of pipelines and cone: It is very important to select the suitable angle. We can offer consultation and share the experience we've gained from producing thousands of pieces of this drying equipment. 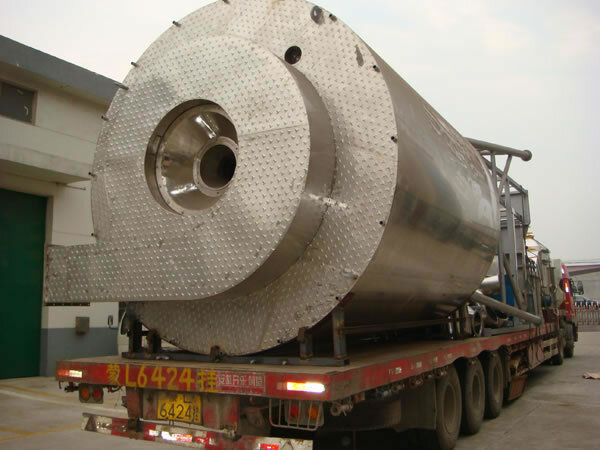 Our centrifugal atomizing drying equipment can be used for drying a thousand types of materials. Details are listed below. Foodstuff: amino acid, vitamin, flavoring, protein, dried milk, pig blood powder, soy powder, coffee, tea powder, glucose, potassium sorbate, pectin, essence, vegetable juice, yeast, starch, etc. Ceramics: alumina, zirconia, magnesium oxide, titanium oxide, magnesium titanate, pottery clay, china clay, all kinds of magnetic porcelain and metal-oxides, etc. Chemical Products: dispersed dyestuff, active dyestuff, organic catalyst, white carbon black, detergent powder, zinc sulfate, sodium metasilicat, potassium fluoride, calcium carbonate, tribasic potassium phosphate, inorganic catalyst, and all kinds of waste liquid. We are a professional centrifugal atomizing drying equipment manufacturer in China. Some of our primary products include revolving vacuum drying equipment, a fluidized bed drying machine, and chicken seasoning granulating drying machine.